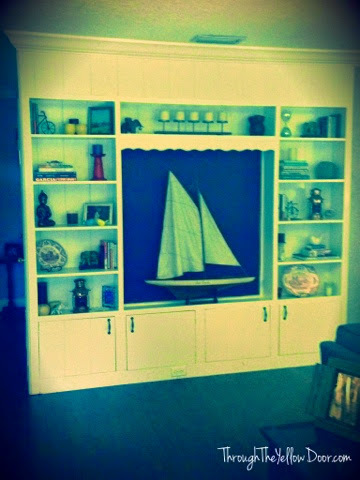 I adored the built-in bookshelves in our living/family room right away, but knew they were going to need a little love. First things first, the mirror had to go! I understand the design principle behind mirror usage but I just can't do it. Leaving this mirror up would mean we were going to be staring at ourselves while watching tv and I feel like that could be problematic. The last thing I want to see when I'm stuffing my face with cookie dough and settling in for a Tori Spelling Lifetime movie is myself in a mirror! 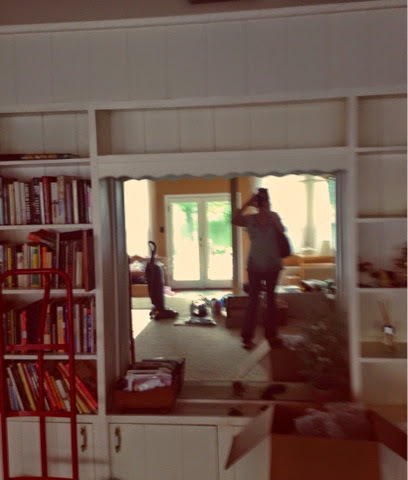 So, no the mirror was not staying. 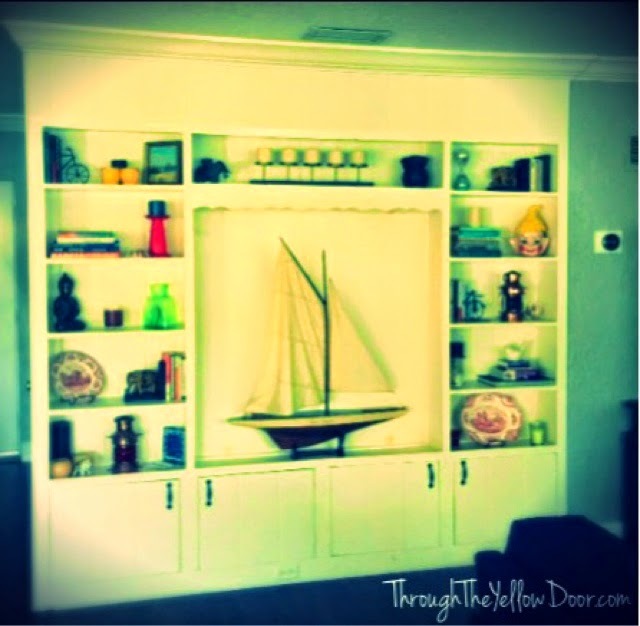 Matt and I found this beautiful old boat "Sun Chaser" at the flea market and I knew immediately that it belonged in our built-in. Right where that horrible mirror used to be. Major improvement but I still wasn't totally sold. Our couch is right across from the built-in and it's navy blue. I took a sample of the couch fabric to Lowes and found a navy that matched. Then, I painted the backdrop (the former mirrored area)! It really makes "Sun Chaser" stand out and I love the way it ties into the couch and brings the whole room together.